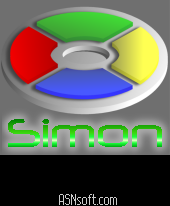 New mobile incarnation of popular Simon game. Train your memory anywhere! Try to repeat sequence of Simon lights and sounds as long as you can. Unregistered version limited to max 5 elements in sequence. Please visit www.asnsoft.com to register.